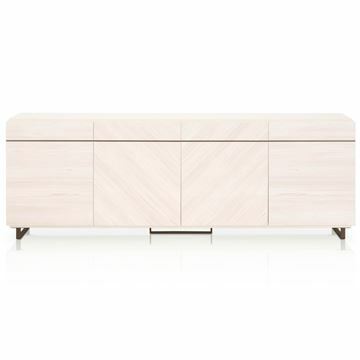 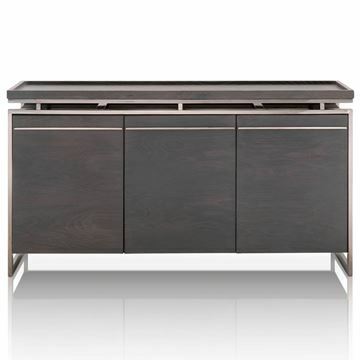 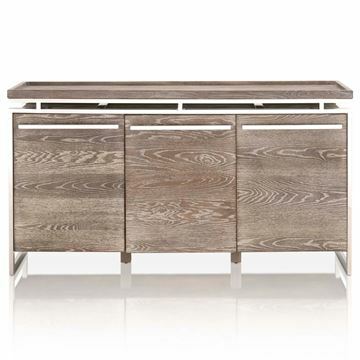 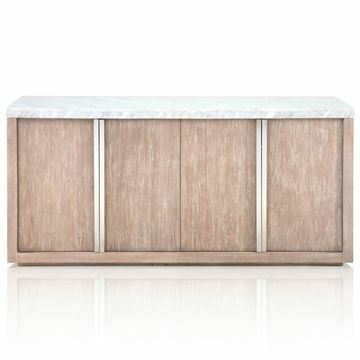 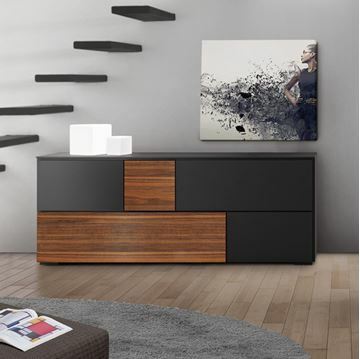 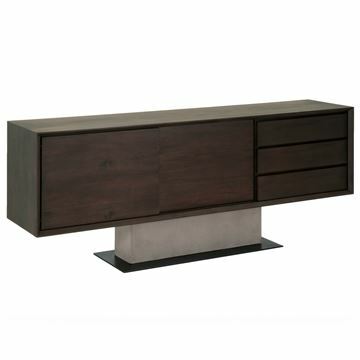 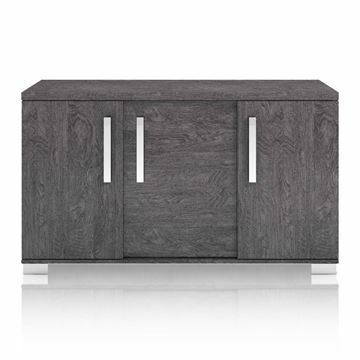 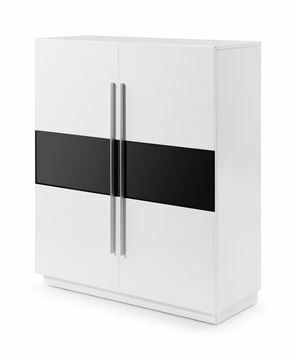 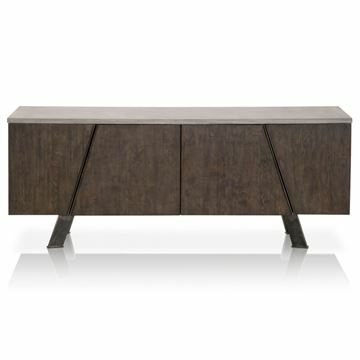 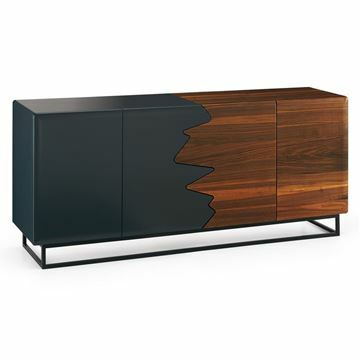 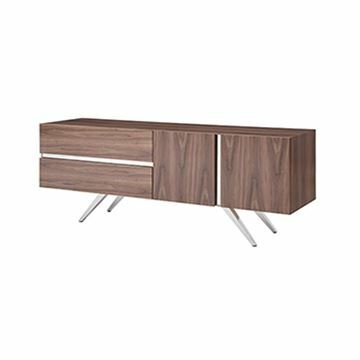 The Picasso Buffet Cabinet is a wonderful option for contemporary styled organization. 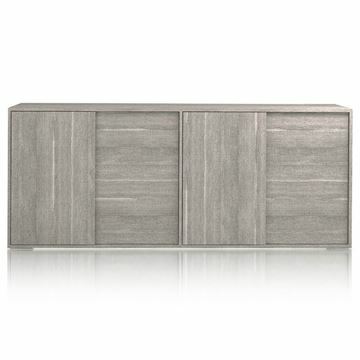 There are four interior shelves behind each door, providing a total of six compartments to organize your dinnerware. 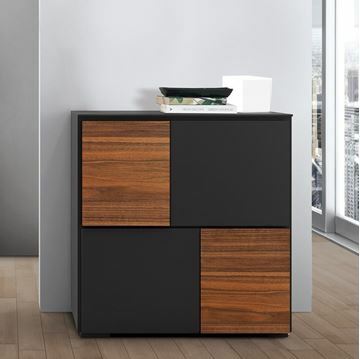 Also a great storage solution for a modern home office. 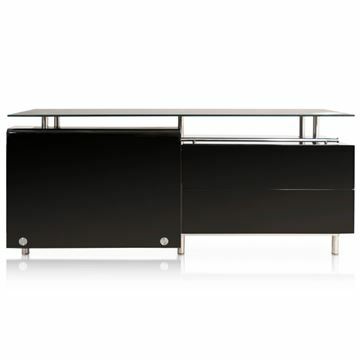 Crafted in high gloss grey lacquer with front reveals in polished stainless steel. 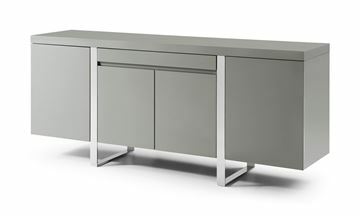 A top center pullout drawer provides convenient organization for cutlery. 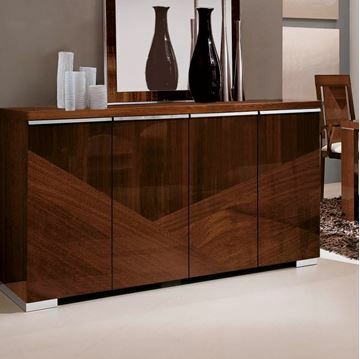 The two outer large doors open to reveal center mounted interior glass shelf. 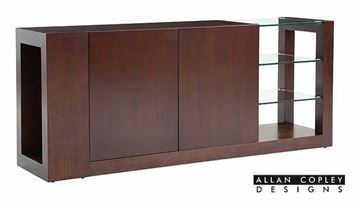 The two inner doors open to reveal a wide span center mounted glass shelf. 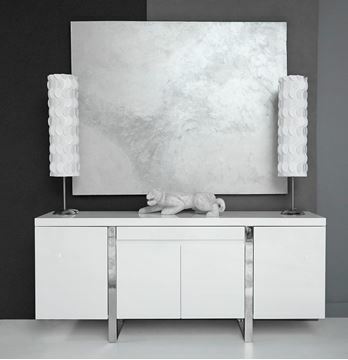 Crafted in high gloss white lacquer with front reveals in polished stainless steel. 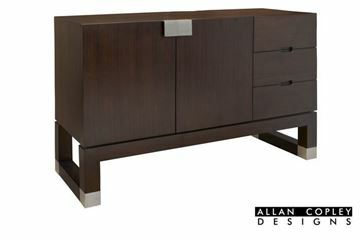 A top center pullout drawer provides convenient organization for cutlery. 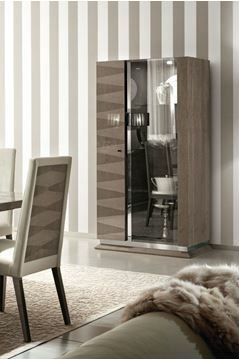 The two outer large doors open to reveal center mounted interior glass shelf. 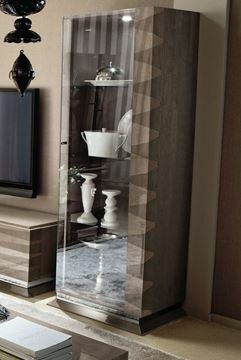 The two inner doors open to reveal a wide span center mounted glass shelf. 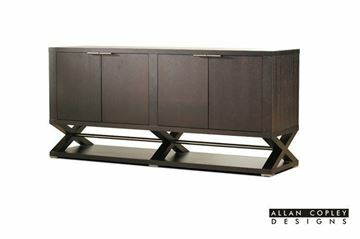 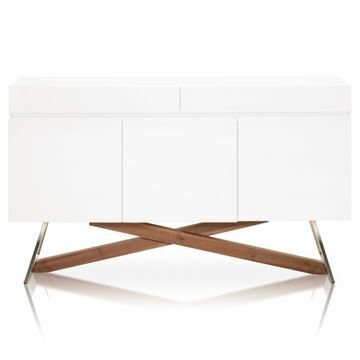 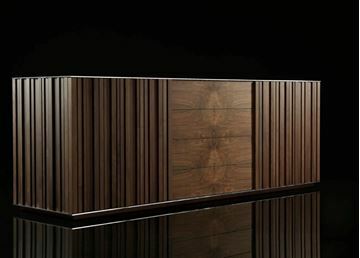 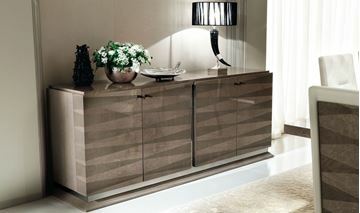 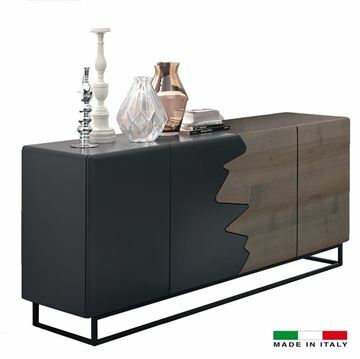 The ALF Vega Buffet, part of the Vega Dining Collection, by ALF Italia. 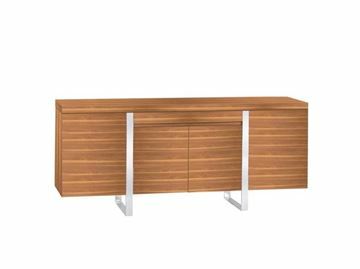 Vega is a smaller scale dining collection, making it ideal for condominiums and town homes. 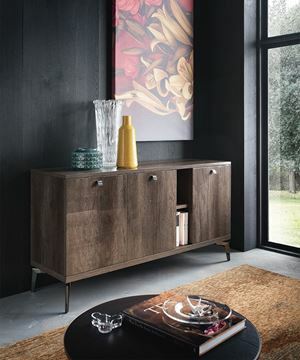 Crafted in stunning rim surfaced oak. 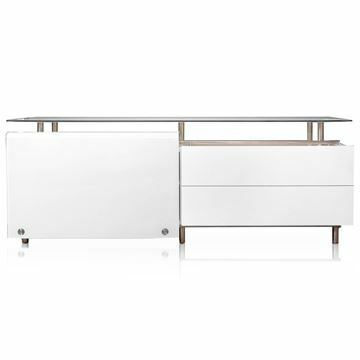 Soft closing hinges on the buffet doors, and polished steel door pulls and legs complete the perfect details on this beautiful buffet.